What is Burlap? | Burnaby Bag & Burlap Ltd. 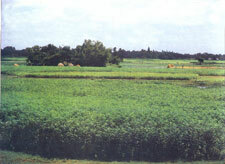 The jute plant is derived from a relative of the Hemp (cannabis) plant. 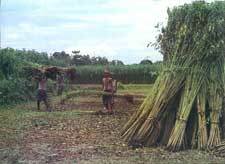 Jute has high tensile strength, low extensibility and well suited for bulk agricultural packaging. 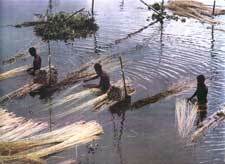 It is used to make quality industrial yarn, fiber, net, and sacks. It is a great natural fibre for use in raw material packaging. 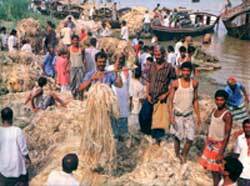 Jute is now an ideal solution in soil conservation campaigned by environmentalists and industrialists alike. For more information on the history of burlap click here.